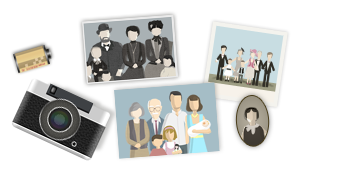 Photos capture the essence of people, places, and things and are among the most desirable of family history treasures. This collection includes photos that were taken recently or many years ago or even older paintings. In title, note or description of photo, e.g. Wedding or "Dexter school"
کپی رایت © 2019 MyHeritage Ltd.